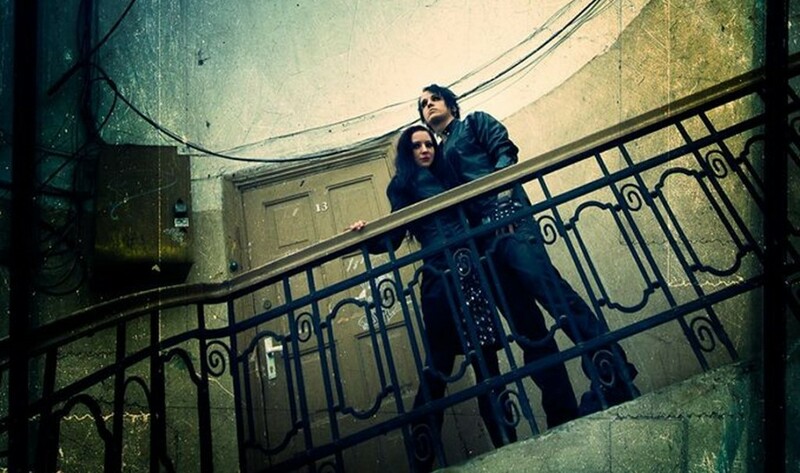 Since their inception in 2006, the Suicidal Romance duo Dmitry Darling (frontman of Freakangel fame) and female vocalist Viktoria Seimar have established themselves within the alternative darkwave / electro scene with well crafted song that stick well in your head. A few months ago Alfa Matrix already released the “Rêves & Souvenirs” digital album (available here) which selected 15 tracks of the project’s career, but now the band’s back catalogue gets a well deserved bonus extended re-release while the duo is working on new material. 3 releases are now being re-issued via the Alfa Matrix Bandcamp page with a load of bonus tracks and all-new frontcover designs by Tomoki Haysaka of Sheerheart in Japan. All 3 releases are immediately available. The first is “Love Beyond Reach” (available here), originally released in 2007. This was Suicidal Romance’s debut album which got mixed and mastered by Vasi Vallis (Frozen Plasma, Reaper). This extended edition includes bonus tracks from the EP “A Kiss To Resist” with special guest vocals by Jan Moser (Lost Area, Yade) as well as a cover version of Erasure’s classic song “Always”. The 2nd re-release is “Shattered Heart Reflections” (available here), originally released in 2010, again mixed and mastered by Vasi Vallis (Frozen Plasma, Reaper). This extended edition includes bonus tracks from the EP “A Kiss To Resist” plus remixes by among others Aesthetic Perfection, Syrian, etc.. The 3rd reissue is “Memories Behind Closed Curtains” (available here), originally released in 2011. This time it was mixed and mastered by Jan L. (X-Music Productions). The extended edition includes bonus tracks from the “Burning Love / Remember Me” EP and remixes by among others Wormz, Studio-X, Diversant13, etc..